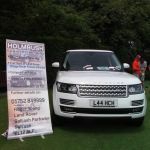 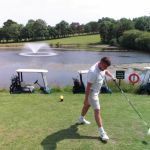 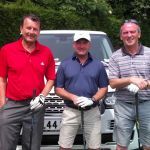 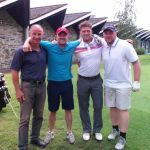 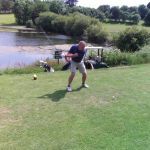 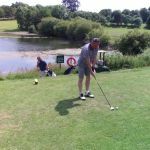 Argyle Legends held their second annual golf day in the beautiful surroundings of the China Fleet Club, Saltash on Thursday 9th June. 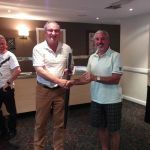 The competition was played under 3/4 qtr Stapleford handicap rules to give everyone a even chance of winning. 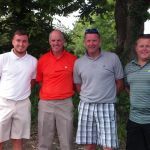 Four teams of 4 competed in glorious weather and old acquaintances were renewed during 18 holes of competitive golf. 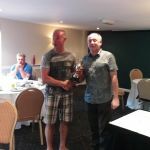 The individual winner and recipient of the Legends trophy was former player Danis Salman who scored an impressive 44 points. 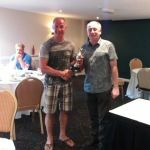 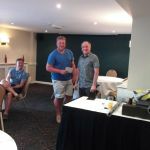 Runner up with 33 points was John Peddelty who travelled all the way from Ipswich to take part. 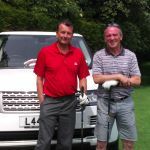 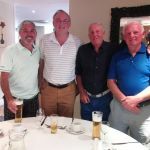 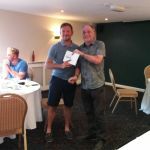 Andy Bacon's team won the team prize and received a voucher for a round of golf for 4 at Trevose Golf Club. 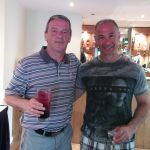 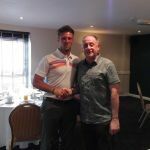 The winner of the longest drive Rob Pratt and nearest the pin, Craig Langmead both received £25 vouchers. 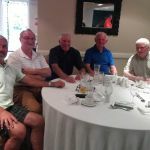 Next years event will be held at the same venue on Friday 9th June and invitations are extended to all former players and companies/individuals who may wish to play. 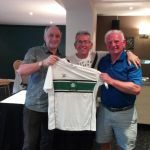 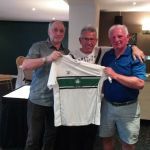 Argyle Legends wish to express their sincere thanks to Andy Duncan of Dunc Haulage and Geoff Webb of Roger Young Motors for donating prizes to this event.